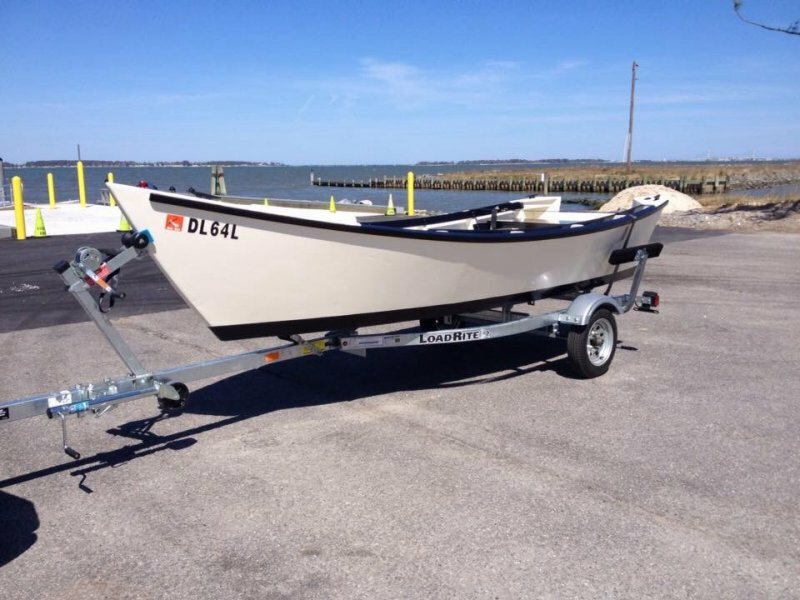 This is a Carolina Dory, designed by Jeff Spira (International) Boats. Built with (mostly) materials from the local Lowe’s/Home Depot store. Exterior hull is 1/2″ exterior plywood covered with 6 ounce fiber glass cloth and about 6 coats of MAS Epoxy. 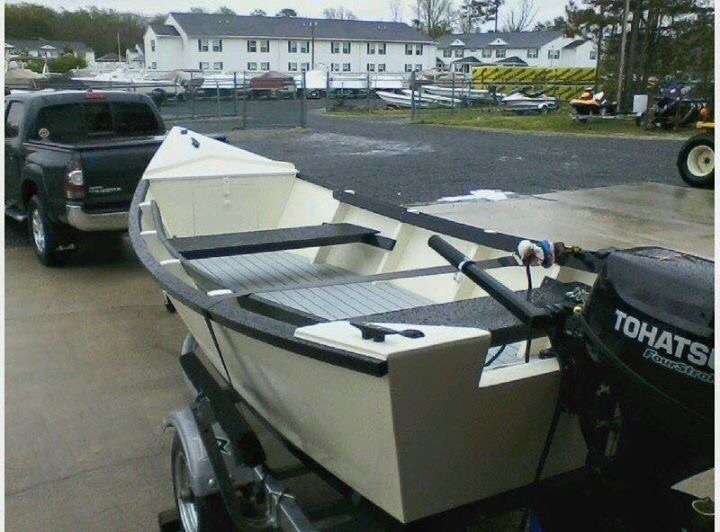 Very easy plans to follow... this boat can be built in various lengths up to 19 or 20 feet.